For nearly 50 years, the Aga Khan Foundation (AKF) has been partnering with communities, governments and local leaders to harness the best from people from all backgrounds to improve the quality of life. The Foundation’s work is rooted in core values of self-reliance, pluralism, and respect for human dignity. AKF is a member of the Aga Khan Development Network (AKDN), one of the world’s leading poverty solutions networks. The AKDN’s integrated approach makes long­term investments, builds permanent institutions and cultivates an active civil society, impacting teas of millions of people annually in 30 countries. Alongside its sister AKDN agencies, the Foundation implements innovative, community-driven solutions that are based in decades of experience, learning and evaluation. 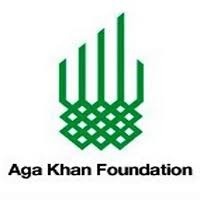 Also, The Aga Khan Foundation (AKF) is a private, non-denominational, international development agency promoting creative and effective solutions to selected problems that impede social and economic development in parts of Africa and Asia. AKF-Tanzania is part of the AKF-East Africa regional structure that supports programmes in Kenya, Tanzania and Uganda. In Tanzania, AKF is managing a robust and expanding portfolio of multi-sectorial initiatives that includes programmes in inclusive economic development, health, nutrition, early childhood development, education and civil society strengthening. Moreover, Sunflower Market development project “Alizeti Maendeleo” funded by The Agriculture Markets Development Trust (AMDT) main objective is to strengthen sunflower market system and to promote inclusive sustainable economic development in southern Tanzania including women, youth and small holder farmers. Key thematic areas addressed by the project includes access to improved seeds, extension services, capacity of oil processors and market linkages. The Alizeti Maendeleo Project Coordinator will be working in liaison with the Project Manager and will be responsible for managing a team of 5 Project Officers based in districts. He/she will be responsible for coordinating the implementation of field activities across geographies, service providers and implementing partners. Firstly, Promotion of value chain actors’ collaboration and coordination initiatives. Like farmer organization, agro-dealers association, processor association formation and strengthening. To ensure a well-structured value chain and enhance collective actions and advocacy for improved business environment. Secondly, Leading in technical resources management regarding the pro-poor extension and advisory systems including identification of extension gaps. Designing solutions, identification of service providers and engagement. Thirdly, Promotion of adoption of improved seeds through managing demand stimulation initiatives. Like establishment of demo plots and strengthening the distribution system through by linking seed suppliers with agro-dealers. Moreover, Ensure the mobilization of target communities, understanding of objectives, active participation and adoption of promoted practices among the target communities andanaging the Field Based Extension Officers (government), Lead farmers (CBF) and other extension service providers to ensure training and advice amongst sunflower farmer groups on G(xxl Agriculture Practices according to recommended guides. Furthermore, Ensure delivery of trainings through engaging dynamic approaches that communicate the key messages effectively and provide follow up support to the farmer groups. Moreover, In collaboration with Enterprise Development Qxmlinator, design and promote gender mainstreaming initiatives to promote women and youth inclusiveness within the project. In collaboration with the enterprise development coordinator support market linkage initiatives as well promotion of value addition amongst pnxlucers. Compilation and consolidation of periodic field implementation reports by project officers, partners and service providers. Management of project officer performance through guiding them in work planning, setting of targets and performance evaluation. Lastly, Ensure a harmonious relationship between the project. The implementing partners, service providers, communities, the government extension officer and the DAICO. Moreover, Experience in leading and managing team or coordination role in previous roles. Interested candidates should submit a cover letter, CV (not exceeding four pages) and the names and contact information of three referees before close of business by 17th December 2018, to Country Human Resources Manager, Aga Khan Foundation, Tanzania, by e-mail to recruitment.akftz@akfea.org. Please mention the title of the position in your email. And also, do not attach any document other than the CV and cover letter.